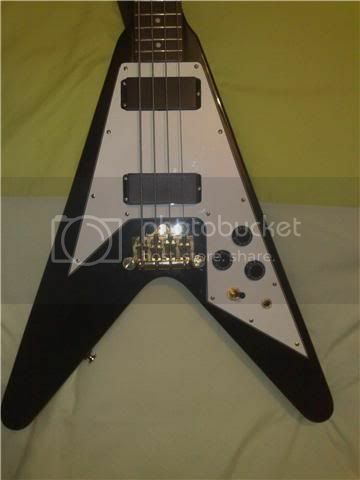 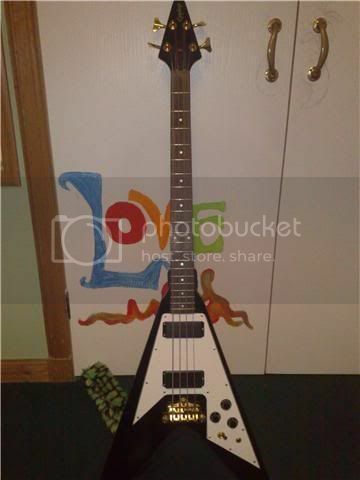 Ebony Epiphone 'Flying V' Bass. 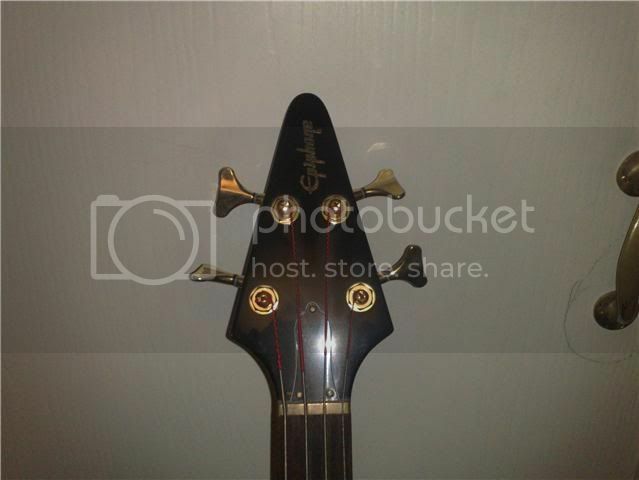 Two years old, used rarley for practices. 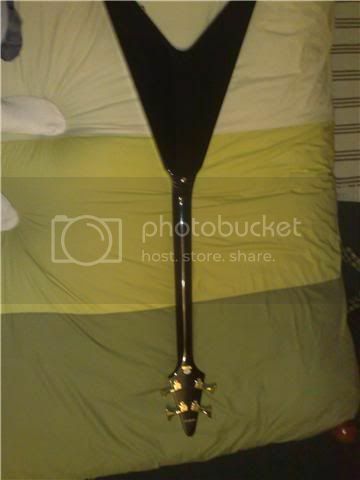 Gigbag included, although top of headstock sticks out top slightly.